Do you want to know the trick to having a really great time? The trick is to keep your shoe laces tied and embrace your natural hair color. Ha! Just kidding. Put on some slip-ons, heels or sandals, whatever they may be and try a new funky hair color. People with funky hair can't help themselves, they just keep on having fun. Whether they're going to the DMV or to a crazy dance club there's something about having that extra color in their lives that expands into their day to day. The problem is, how do you choose what color to dye your hair? Once you take that leap you're stuck with that hue for a while, unless. . . you don't have to go all in. You don't have to use permanent dye. 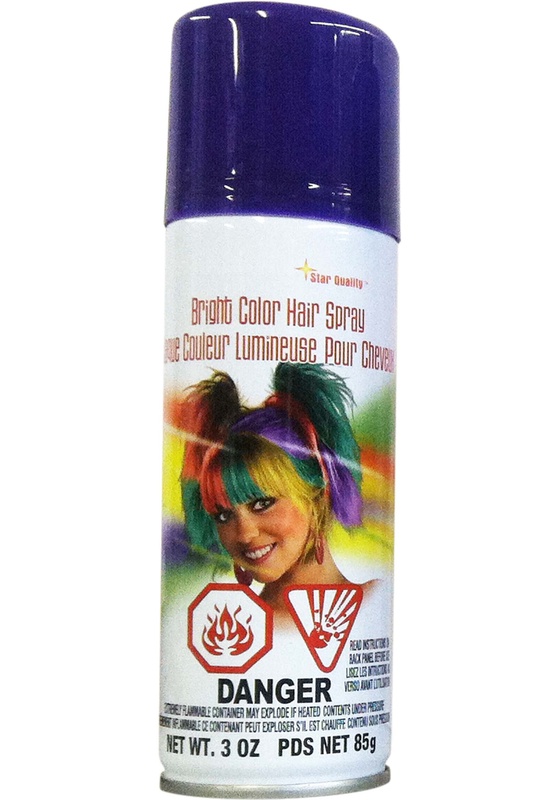 Simply use this hairspray to give your hair a royal hue. After you're done having a really great time take some time to wash it out and you're back to normal. No doubt about it, you're next trip to the DMV will be at least twice more fun than usual, which isn't a lot but it's something.